ALULA’s striking architectural simplicity belies its revolutionary design and innovation. Its unique central courtyard provides a direct connection between stunning interior spaces and a visual link to the adjacent park. A space for reflection and activation, the courtyard allows natural light to spill through all interiors and natural cross ventilation to provide passive cooling. These luxuriously appointed residences, whilst elevated above the streetscape, will sit conspicuously below surrounding buildings to create a landmark gateway to the heart of Sydney’s cultural precinct. With curated retail and hospitality on its doorstep, ALULA offers an unrivaled lifestyle opportunity. 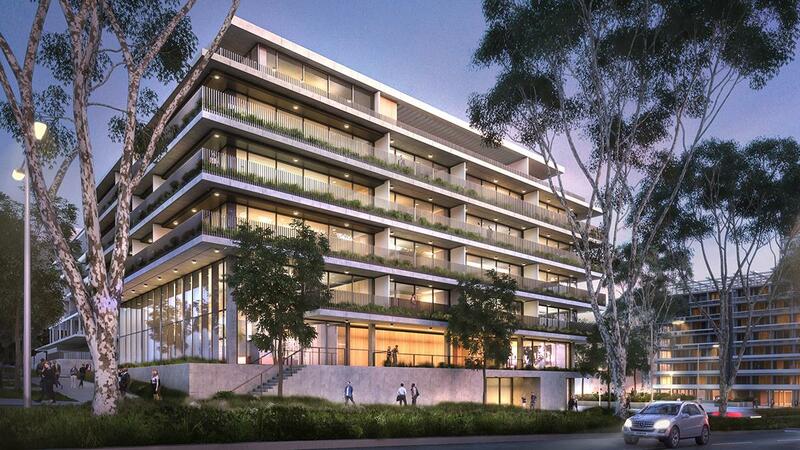 With an exclusive offering of just 42 ultra contemporary apartments, ALULA is set to become Waterloo’s most enviable addresses. A collaboration between the award-winning Grimshaw Architects and Luxeland Group, ALULA will redefine apartment living in Sydney’s booming inner-east. Through the use of beautiful materials, including raw cement and wood finishes, a subtle colour palate reflective of the natural landscape, natural air flow and light, and generous balconies complete with landscaped garden boxes, the outside is drawn in. Its unique central courtyard provides a direct connection between stunning interior spaces and a visual link to the adjacent park. The building sits atop curated retail and hospitality outlets on the doorstep of resident parking. These luxuriously appointed residences, whilst elevated above the streetscape, will sit conspicuously below surrounding buildings to create a landmark gateway to the heart of Sydney’s cultural precinct. With curated retail and hospitality on its doorstep, ALULA offers an unrivaled lifestyle opportunity. Just minutes from Sydney’s CBD, ALULA is within easy reach of excellent transport connections. Sydney University, UTS and UNSW are all within proximity, as is Centennial Park. Abundant retail furnishings can be found a short walk away at the Supa Centre Moore Park. Supermarkets, wholefoods and gymnasium are equally close by, as are multiple dining options at the vibrant East Village.